So I’ve decided to share with you, upon occasion, when the mood strikes, because who wants to be completely regimented, the best of random things. And yesterday I decided I’d stumbled across the best method of stirring a natural nut butter. For the uninitiated, the oil in natural nut butter separates, so you have an inches-thick glossy ooze atop the good stuff. This is also true for peanut butter, which is not actually a nut but a legume, but I digress. 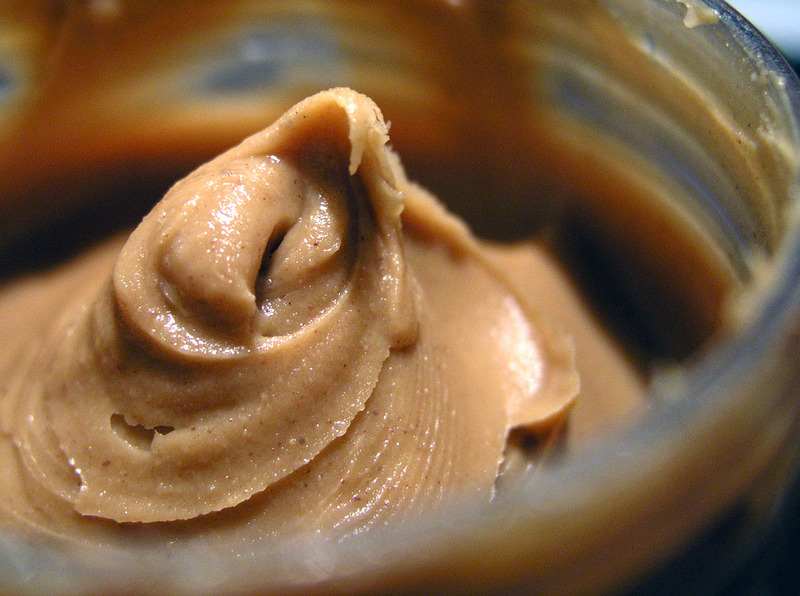 If you open a bottle of peanut butter or cashew butter or almond butter and it’s all blended, I hate to break it to you, but you’ve got additives. Often it’s got palm oil, which is harvested while destroying the environment of the orangutans, and if you’ve seen that heartbreaking video of an orangutan trying to fight off a bulldozer, you’re not going to want that. Back to my method. It’s super, super easy, which is why I didn’t just say it because we’d have one paragraph and no blog post and what fun is that? Besides you would have missed out on legumes and palm oil. In order to get an even stir, I use a long-handled plastic spoon. Any silicone- or plastic-handled utensil will do; just don’t use wood as it will be all the harder to clean and I suspect will forever smell of nut butter. But don’t use the spoon part. Use the handle. Go slowly and kind of churn the oil in. Since you have to refrigerate the natural nut butters anyway, as they have no preservatives, once it’s in the fridge, it will be like you never had to blend it at all. Nice trick. I’ve got nothing to share here. Seems like I should reciprocate with a great tip, too. But I got nothing. I have to refrigerate natural nut butter?!? I haven’t found Jif or Skippy here in Vietnam, so I bought a jar of natural (unsalted) peanut butter. Hubs opened it to stir it up, decided he hates unsalted, and put it back in the cabinet. …I just checked and it’s all separated again. Guess I’ll stir it and put it in the fridge. I’d definitely keep it in the fridge! Especially if all it has is nuts. It will absolutely keep separating at room temp…it should be easier to keep together in the fridge. Who knew this would be that relevant? !